Apple’s new 7.9 inch little brother to the full size iPad is a worthy entry into the tablet market. First of all, when I first heard about it, I wondered about the lack of retina display.. I use my iPad 3 and my iPhone all the time, and I’ve gotten used to having retina display.. But then I got the iPad mini, and as I played with it more, I found that I didn’t really miss the retina too much.. The iPad mini’s display is sharp enough that it’s fine without retina. The 163 PPI display is noticeably nicer than the 133 PPI iPad 1/2, noticeably worse than the 266 PPI iPad 3/4. Also, the iPad Mini display seems brighter and to have better contrast than the iPad 2 display. It’s really light and easy to hold with one hand. The hardware design — chamfered edges, less tapered back, metal rather than plastic buttons — looks cleaner, more elegant, than that of the full-size iPad 3 or 4. In terms of weight, the Mini weighs in at less than half a full-size iPad 3 or 4, and the difference this makes is huge. The Mini with the Smart Cover on is almost exactly as thick as an iPad 3 or 4 without a cover. Combine that with the weight and it’s just plain fun to hold. The reduced bezel width along the sides poses no problem; the device is light enough that you don’t need a place to rest your thumb on the surface. Unlike my iPad 3 that I typically use in landscape mode, I find myself in portrait almost all the time with my iPad mini, even when I’m not on the move. It just feels more natural to be in that orientation than holding it in landscape. Perhaps part of that comes from typing. With the iPad mini in portrait, I can type with two thumbs, much the same way I do with my iPhone. To test it out for gaming, I installed the recently released Borderlands Legends on the mini, and it looked nice. Game play was pretty fast and it handled well. I like this game on the iPad 3, whereas the iPhone 5 seemed small to play it on, and the iPad mini made a nice middle ground for game play. I do use my iPad mini for other tasks besides watching videos or playing games, and I use it a lot. I have the Wi-Fi model, which was on all the time and I have yet to see anything cause a significant drain on the battery. I carry an LTE mobile hotspot in my usual laptop gear, so an LTE iPad isn’t really as useful for me as it would be for others, plus I can always tether to my iPhone 5 if the mifi isn’t with me. Absolutely, I was surprised with how much I used the iPad mini in my daily routine — more than the 10-inch iPad. There are a couple of things you have to remember with the iPad mini. First, it isn’t just a smaller iPad, but rather it feels like its own device. Anything that is simply shrunk down or scaled up feels amateurish. 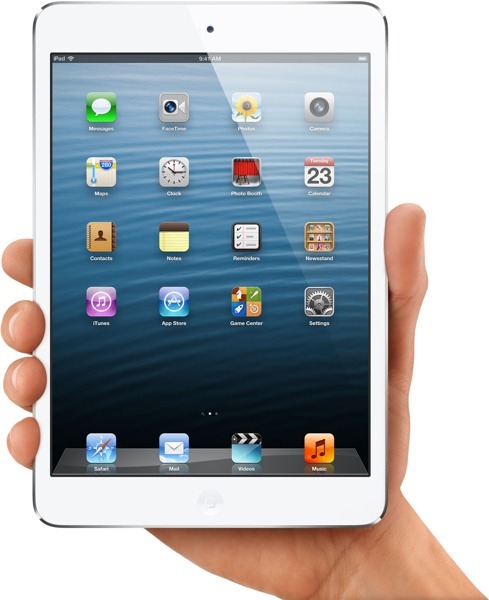 The iPad mini feels like an iPad, it’s something you can have fun with and accomplish tasks on. The second thing is that what seems like a little bit of extra screen real estate on the iPad mini makes a huge difference. Everything just works on the mini — all of your old apps, iCloud, everything. It works. The iPad mini is a well thought out device and it’s exactly what you would expect from Apple.